We are missionaries with Northwest Haiti Christian Mission. We have devoted our lives to serving His kingdom in the country of Haiti. We have 8 children and a thirst for an intimate relationship with our Creator. There may be a lot of drama on the battlefield but one thing is for sure.....There's Never A Dull Moment! Click below to follow our blog and get emails every time we post! Sign Me Up For The Ride! It’s funny. As I read back through this blog – there’s not a lot that’s changed. I’m still a night owl. 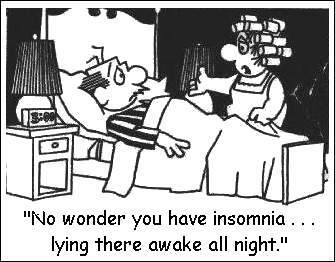 I still have chronic insomnia. I still can go several days without sleeping if I don’t take my medicine at night. While I was in the states these past few weeks – my dad was still up consistently each night. As I would make my trip to the bathroom – I’d see him with his Bible out at 3 & 4am. He too uses His restless nights to draw himself closer to Christ. I still like to get my work done at night. I do find my best chance for quiet time with God is when everyone else is sound asleep. As our tree is now up – I find it even more enjoyable to be up at night. I love putting on Christmas music or Christian music – and staring at the pretty lights. There’s even been a few nights where I hung out on the patio looking at all the lights we’ve strung up. There is something to be said about light in darkness – and I find myself in a much more peaceful mood in those moments where I myself forget where I am….for a little awhile anyways. So today I’m thankful for long nights. I’m thankful for the way God & I are able to connect as the world around me is sound asleep. I’m thankful that I’m taking after my dad….. who uses His nights for God’s glory. I’m not much of a morning person! No surprise there for anyone who knows me! I’m definitely a night owl! I tend to get the majority of my “travel” work done late at night! My nights tend to close down after 2am. When I was pregnant with the twins I rarely slept. I was either in the hospital or floating in my parent’s hot-tub (heat turned off). Throughout the course of the pregnancy I developed Chronic Insomnia. If I don’t take my medicine to help me sleep – I can easily go 50 hours straight. I used to look at that as a curse! There’s nothing more frustrating than needing sleep – tossing and turning all night long – and staring at the clock. Ugh! My days normally have enough activity (for sure enough noise) that finding quiet time with God is hard. So I’ve started embracing the night! I have been reading a lot of books and gathering my material for my weekly Staff Devotions & Haitian Women’s Bible Study. I find without the night – I can’t really get away by myself. What started off as a handicap has really been an instrument for personal growth! My dad gets up every morning at 4am for prayer time. He’s been doing this for the last 4 years. I know this is true because when I’m in the states we stay with my parents. When I was pregnant I would float in their hot-tub which is right outside of dad’s office – which is a glass patio. I would see dad walk through the door EVERY SINGLE morning. He would slide open the glass window and ask how I was doing out back. Many times I was back there crying – – I wouldn’t wish a twin pregnancy on my worst enemy! Dad would share with me a devotional or try to give me an encouraging word. I really looked forward to that 4am fellowship and have really missed it since. I always thought my dad was crazy for getting up so early to have alone time with God. But just like anything else – if you don’t schedule it – it often doesn’t happen. So today I’m thankful that I have scheduled “growth” time every night! That God can use my weakness for His glory!